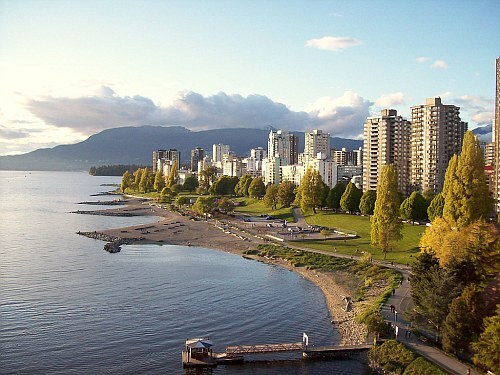 WestJet is showing some pretty ridiculous prices from Toronto to Vancouver, BC for $203 CAD roundtrip including taxes! Calgary for $202 CAD roundtrip including taxes. Edmonton for $202 CAD roundtrip including taxes. Kelowna for $305 CAD roundtrip including taxes. Update 11/16 - It looks to me like all of the cheap ones are gone. I was seeing them up until about 4 AM when I had to get some sleep. From what I can tell by the comments they might have sold out around 6 or 7 AM. It turns out these were part of WestJet's start to 'Black Friday' sales. Kudos to WestJet for actually offering some amazing airfares, when most airlines just use it as an excuse to offer a mediocre 'sale'. From what I could tell, they actually put quite a few seats on sale too.. But I thought Black Friday was on November 24th? And it's not even *Friday* of the week before. I guess they were trying to catch everyone off guard! 2 Responses to "Toronto to Vancouver, Calgary, Edmonton (or vice versa) - $203 CAD roundtrip including taxes! | non-stop flights"
No cheap dates left....that I can see.